MIDI controllers come in many different shapes and sizes, from the traditionally recognised keyboard through to fader banks and rows of pots - if you want to take control of your music and sculpt your sound then the MIDI controller is an essential part of your studio kit whether you use outboard or VST instruments. There are also DJ MIDI Controllers but we have listed these separately to avoid confusion. 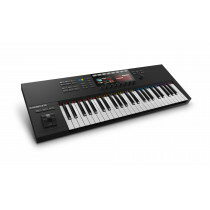 MIDI Keyboard controllers come in various formats, there are 25, 49, 61 and full size 88 key controllers available to suit any playing style. Whether you'd like the feel of a piano and opt for a weighted keybed or you'd just like a basic keyboard to enable you to play chords, melodies or basslines we have options to suit all needs and budgets. Of course as the keyboard controller has evolved it has inherited a number of features - whether this is the inclusion of drum pads, faders, pots or perhaps even screens to provide visual feedback for the parameters you're tweaking the modern keyboard controller offers a greater depth of control now than ever before. It's not just keyboards that fit into the MIDI controller category, as mentioned earlier there are fader banks, pots and complete DAW controllers that can be added to your studio set up. But perhaps one of the biggest advancements in recent years has been within the pad controller/groove box marketplace. 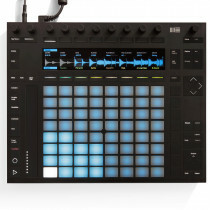 When Native Instruments released the Maschine platform it revolutionised the way producers and artists viewed the synergy between MIDI controller and software - in fact the Maschine converted huge numbers of MPC owners from their chosen standalone platform, prompting Akai to release their own controller range which includes the MPC Touch and evolved into the new hybrid MPX Live and X products. MIDI Pad Controllers also feature extra controls such as the Maschine MK3 which adds playability to the platform in an intuitive way thanks to it's touch strip, you'll also find pots and faders on many of the fully featured MIDI Grooveboxes that are available. One of the most popular MIDI controllers available is the Novation Launchpad - originally designed to offer clip launch control, it has evolved to offer many additional features and there is now an entire generation of Youtubers who create performances with synced light shows, often taking the latest tracks and creating completely new remixes by chopping the track into small sections and clip launching individually elements in a completely new way. Both Native Instruments and Ableton have taken the Grid MIDI Controller platform futher with the creation of Jam and Push respectively - these controllers offer an integrated hardware/software workflow that makes beat creation quick and easy. 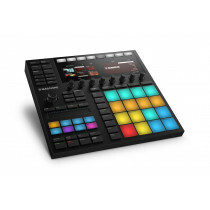 MASCHINE JAM is a creative controller instrument designed for fast intuitive sequencing and track building.